Hopefully someone with some experience will chime in soon!! I ordered the starter kit but haven’t received it yet. I’ve got 7 lights on my Hue Bridge, but I set them up awhile ago, so I don’t remember doing anything special. I think I set them up n my iPhone first and then they just appeared on the iPad. I can see and control them from the Hue app on both my iPhone and iPad. They also all appear appear in Home on Control Center on both. However, they don’t always work from the Home icon on the iPad. I can also control them from Alexa and Siri. 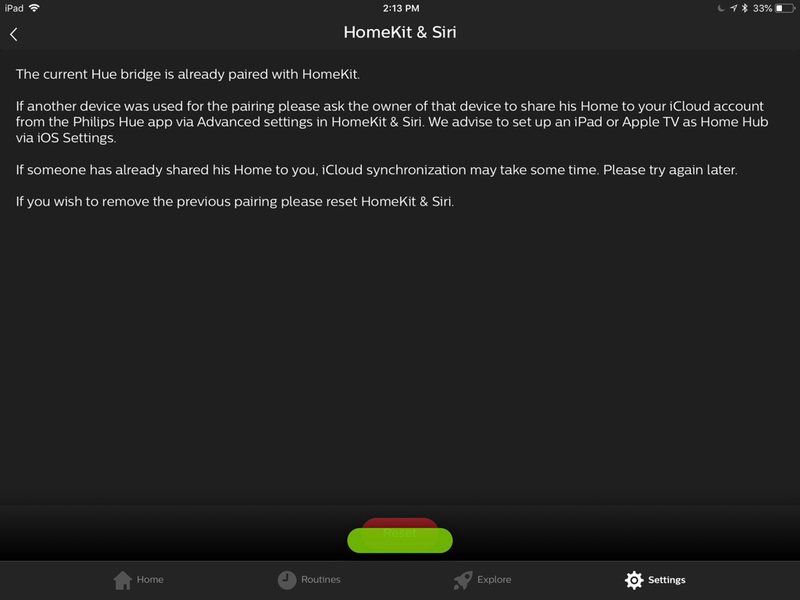 You shouldn't need to sync your Hub to Siri from the iPad, because you've already done that from your iPhone. Does your iPad's Hue app control your lights? Are you signed into your iPad with the same Apple ID as on your iPhone? If not, you'll need to share Home access to the Apple ID you use on your iPad. Can you control your lights from the Home app on the iPad? It’s weird. Took several days but now it is synced. Not sure what I did or didn’t do to be honest. Loving the lights tho! Thanks!! I’ll probably set them up today. This seems like a case of "making things harder than they need to be"... But until Philips change this, this is how you need to get "Hue" products working with multiple iOS devices.